Since 2010, Dr. Aaron Giddings has been passionate about providing quality pain-relief and wellness care with an emphasis on convenience. His care is affordable and visits are stress-free in a warm and caring environment. Call today! 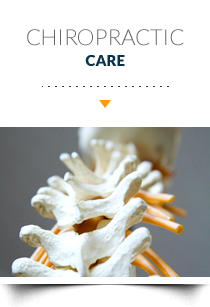 Johnston Chiropractor Dr. Aaron Giddings provides the patients of the Chiropractic Health & Wellness Clinic with state-of-the-art pain relief care, with advanced options for those seeking to enhance their wellness potential. His passion is to provide the members of his community with quality, affordable health care in a comfortable and caring environment. Whether the hope is to simply get out of pain, or have a complete health makeover, we want to partner with you in making your goal a reality. We strive to live up to the definition of a true patient-centered practice. Although we are traditional in our love of family and community, we also strive to provide our patients with the very latest in technological advancement in protecting their most precious asset: good health. We offer our patients, from babies to seniors, quality chiropractic care with cutting-edge physiotherapy options, including massage therapy, nutritional analysis and kinesio-taping® methods. When you come to our office, you will find that our focus is not only on helping you to regain your health, but on making your time with us as stress-free and relaxing as possible. Our care is very affordable, and we remove the complications of insurance coverage by filing your claims for you. 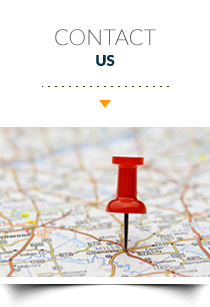 We’re an in-network provider, and also accept Medicare and Medicaid. We will never make you wait more than 24 hours for an appointment, and accept walk-ins on a daily basis. Our consultations are free and there are no long waits. We have appointments available six days a week, and provide on-site X-rays. We feature late hours and also have the capacity to accommodate emergency appointments. Dr. Giddings, chiropractor Johnston, is all about convenience. Not for ourselves, but for you. You can get an appointment the same day, you see the Doctor on time, and you make your appointments on your time without “over selling” or pressure. Hard to find a Chiropractor like that these days. I didn’t have an appointment scheduled with Dr. Giddings, but I stopped by and they got me right in for an adjustment. I felt so much better. That made my day. Dr. Giddings is a very kind and gentle person. He continues to keep my headaches and pain to a minimum. After being in a car accident, he helped take away a lot of the pain and discomfort. Dr. Giddings always gets me right in for and adjustment when I need it. I look forward to my visits twice a month. I haven’t had a major headache since I started treatment. Thank you so much. I had minor back pain for the last 5 years. I finally made the decision to visit Chiropractic Health and Wellness and wish I would gone sooner. My back has been virtually pain free. After an appointment at Chiropractic Health and Wellness, I have a tremendous amount of relief from chronic hip pain and lower back pain. 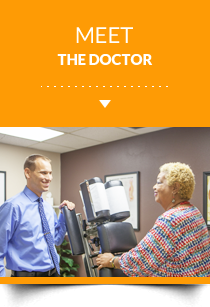 Dr. Giddings is very professional, friendly and he listens to your concerns. Dr. Giddings is great. He really cares about getting to the root of the pain and fixing it. I love coming to Dr. Giddings. I feel so much better when I leave. Dr. Giddings adjustments are very gentle and effective in relieving the tension in my neck and back. I’ve received wonderful care for over 6 years and have referred my friends and relatives. Thanks for helping me feel better! !